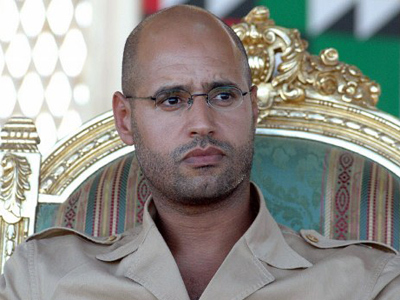 Col Gaddafi’s son Saif al-Islam says he is innocent and is reportedly considering appearing before the war crimes tribunal. The chief ICC prosecutor has warned him not to try to flee from his refuge in the Sahara desert. ­Communicating through intermediaries, the late Muammar Gaddafi’s son has told the International Criminal Court he is innocent of any crimes against humanity. 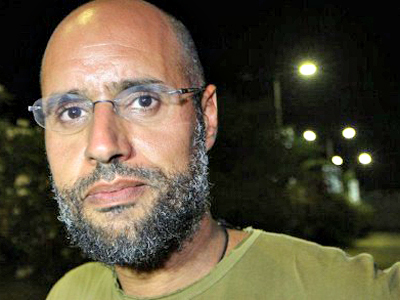 An ICC arrest warrant issued for Saif al-Islam in June 2011 accuses him of murder and persecution. Meanwhile, he says he wants to clarify what could happen to him if and when cleared of charges at The Hague, the court prosecutor Luis Moreno-Ocampo said on Saturday. "There are some people connected with him that are in touch with people connected with us, so we have no direct relation; it's through intermediaries," Moreno-Ocampo told The Guardian. "But we trust very much the person who is in touch for our side. He says he is innocent, he will prove he is innocent, and then he is more concerned about what will happen after, if he is considered innocent by the court," added Moreno-Ocampo. "So we explain to him the legal system, so we are making no deal, though we have a case against him," he added. "But we are explaining the legal system and his right to defend himself," he added. Moreno-Ocampo stated the ICC would not make "a deal" in return for surrender, but insisted "the conversation is about how to appear before the judges and how we present the evidence." 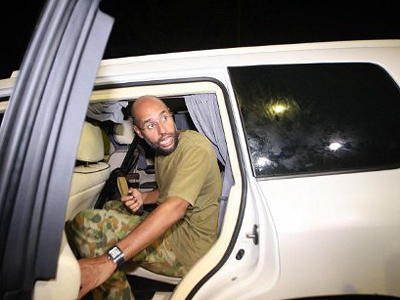 Saif al-Islam expressed his readiness to surrender to the ICC, it was reported on Wednesday, due to the fact he did not feel safe in his hiding place, a senior military official of Libya's National Transitional Council said. If he surrenders he will be transferred to The Hague where the ICC shares a detention unit with the UN’s Yugoslavia war crimes tribunal and the Special Court for Sierra Leone, which is trying the former Liberian president Charles Taylor. ­Despite having a line of communication with Saif al-Islam, Moreno-Ocampo voiced his concern that he could escape by fleeing to another country with the aid of mercenaries and that his declared willingness to go on trial is a ruse to win time. Intelligence reports suggest that the mercenaries could include South Africans. 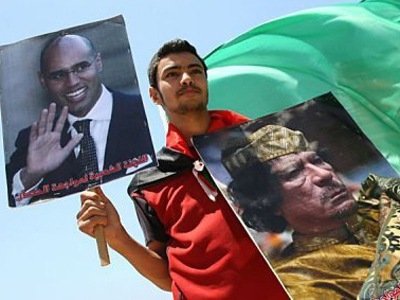 The Gaddafi family also has strong links with desert tribes in Niger, Mali and other poor former French colonies in West Africa, making these places a possible refuge for Saif. 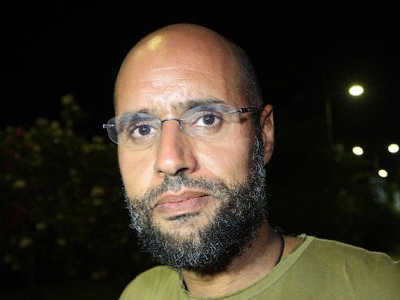 For the time being, the ICC has received a number of reports from Libya’s new National Transitional Council leaders that Saif al-Islam has taken refuge in the borderlands between Libya and Niger. 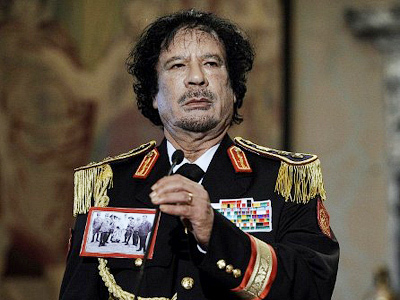 According to reports, he fled to the frontier after his father was captured and killed near Sirte. 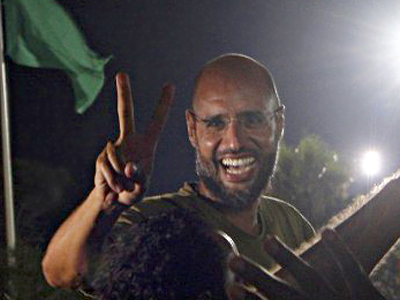 The International Criminal Court has warned that if Saif al-Islam tries to flee by plane, it would move to carry out a mid-air interception. The ICC lacks a police force of its own, though member countries are legally bound to enforce its warrants. 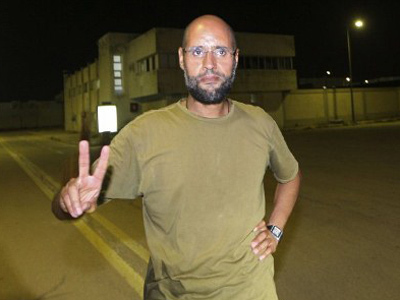 Three of Saif al-Islam's six brothers were killed in the war that broke out in Libya. Another, Saadi, has reportedly found refuge in Niger.